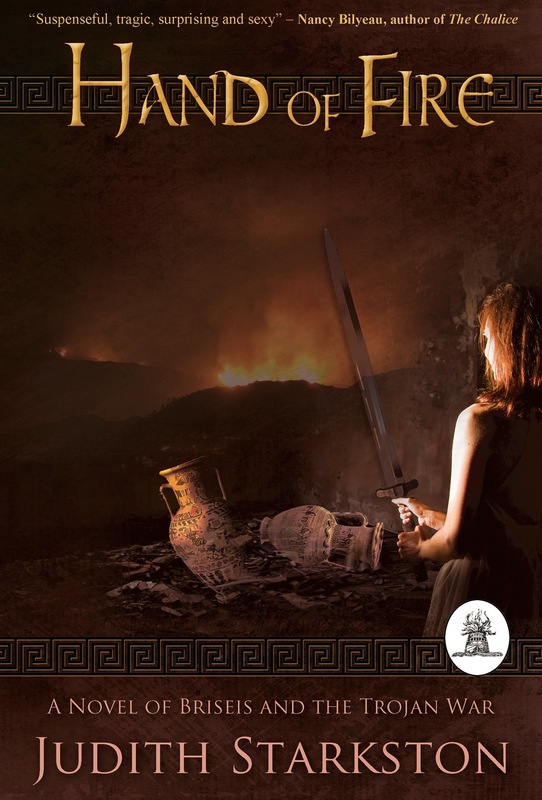 The Trojan War threatens Troy’s allies and the Greek supply raids spread. A young healing priestess, designated as future queen, must defend her city against both divine anger and invading Greeks. She finds strength in visions of a handsome warrior god. Will that be enough when the half-immortal Achilles attacks? Hand of Fire, a tale of resilience and hope, blends history and legend in the untold story of Achilles’s famous captive, Briseis. My Thoughts: I surprised myself in how moved I was with this tale. I’ve always enjoyed Greek mythology, but from a distance. I love all the ancient civilization history from the Middle East. So when I had the opportunity to review Ms. Starkston’s book, I was delighted just with the thought. From the first page, you get a sense of who the characters are and how they relate to each other because the author provides us a list of people, gods and places. It’s very important to understand this because the Greek names are hard to keep in mind anyway. So I think that was a nice touch. I also liked that she titled each of her chapters so I was able to go back with relative ease and reread various scenes. Ms. Starkston wove a wonderful tale from Homer’s Illiad, her knowledge about the Bronze Age and her research which led her to visiting present-day Turkey, then ancient Greece, to talk with their local archeologists. History from over 3,000 years ago leapt off the page. The author’s descriptive scenes with her clever portrayal of events created a love story, you will be hard pressed to forget. Truly a masterpiece. She brought to life a woman who had every reason to hate Achilles, yet found she somehow loved him. We learn what a priestess did during that age through Briseis’s life. The author fully developed the main characters, so we are able to experience the hardship, love, cruelty and greed of its players. The skill and talent the author has in bringing this story alive, well, it just seizes my mind. Achilles, the greatest Greek warrior, half mortal, born of Thetis, goddess of the sea, was a deeply conflicted man. His mother had tried to make Achilles immortal and in her efforts she created, instead, a man so strong none could slay him—although he does die, but that isn’t in this particular story. His two essences, man and god, continually leave him edgy and agitated. He will become enraged and wrathful. He felt whole only when he was in battle, full of power and control. When the battle was over he felt remorse for killing. Ms. Starkston paints us a picture of a man who loves, who has compassion, yet has none when he is wronged. His best friend, confidant and more, Petroklos, a warrior, was the only one close to Achilles who could quell is agitation and calm his spirit, although Briseis, when she came into his life, was able to, too. When Petroklos is killed, Achilles is inconsolable. The author depicts this well; I felt his angst and anguish. Briseis, a priestess and healer, was captured by Achilles when he sacked her town of Kamrusepa. Born of Antiope, her mother a healer, and Glaukos, Chief Counselor of King Euenos of Lyrnessos, her future was already planned. She was to marry Prince Mynes, the King’s son. Prince Mynes, a handsome enough man, was fated with circumstances beyond his control. His hot temperament and rebellious inclination makes him rash, and thus poor in decisions. His rashness helped shaped the events which occurred when Achilles entered the town to pillage. Achilles hoped to take enough wealth from Kamrusepa to appease Agamemnon, the most powerful Greek king of the Mycenaeansone. He was known for his greed and ill-liked by his subjects. Unfortunately, Briseis lost two brothers in battle, along with her arrogant husband, Prince Mynes. It was a crushing blow. Iatros, her youngest brother was no fighter, like the other two. He wanted to be a physician to care for the wounded. His nature was one of healing. Sister and brother found each other in the devastation of the city and were hiding from the Greeks along with the injured. But they had to escape for the town was on fire. As fate’s hand swept in, Achilles’s men found the group. Iatros took up sword to protect his sister and cut down a warrior, surprising even himself. Even as I reread this scene, I relive Briseis’s resolve. She could not stand aside to see another one of her brothers fall to Achilles’s sword. She drew some water and Iatros washed the face and mouth of the man with the chest injury. His eyes were closed, but he breathed. She turned toward the gate. “We should close the gate so no Greeks will find—“ She stopped. A shadow had fallen across the opening. The guardsman sitting on the well drew his sword. Iatros pushed her down so she was hidden behind the well and drew his sword. She heard the sounds a bronze-mailed footsteps rushed. Swords clashed. A man fell. Then a voice called out in Greek, “Lord Achilles, come over—“ There was a grunt, a thud. The voice fell silent. A Greek warrior lay against the well. His hand loosened its grip on his sword. She lifted her head to see over the well. Iatros stared at his bloody sword and the dead Greek. The man with the leg wound was on the ground, his sword arm still outstretched, but his innards poured out onto the hard dirt. Other guardsmen came out of the stables, but it did not matter, for the gate filled with a huge form, and Achilles plunged toward Iatros. Her brother lifted his sword to meet the oncoming stroke. A rage rose up in her; the sound of a hundred bees filled her head. In one motion she swept the dead Greek’s sword off the ground and leapt from behind the well. Achilles’ blade flashed in the air above her. She saw his hands grasping the hilt and sensed their power, then saw his look of astonishment as she raised her blade against the blow aimed at her brother. A new, invincible strength coursed through her arms. The desire to strike-raw and terrifying—drove out her helplessness. Her blade met his. A bolt short through her, and she reeled from the force. Achilles jerked his chest backwards even as the momentum of his swing carried him forward. Achilles’ sword cut through the unprotected joint of her brother’s armor between the neck and shoulder. Iatros’s head fell to the side. As the weight of Iatros’s body carried her to the ground, she heard an anguished cry and could not tell if it washers or Achilles’. I highly recommend this read to historical fiction and romance lovers. Just for fun, I pulled from Youtube a clip from one of the films created with Achilles and Briseis, I thought you might enjoy. Judith Starkston psyched me up for further reads in Greek mythology. Congratulations on your debut novel, Judith Starkston. May you write many more! 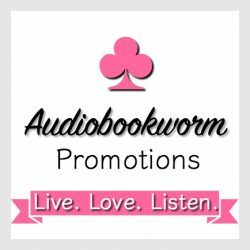 This entry was posted in Historical Fiction, Historical Romance, Romance and tagged Achilles, Briseis, Bronze Age, Greek Mythology, Hand of Fire, Illiad, Judith Starkston, the Trojan War. Bookmark the permalink.